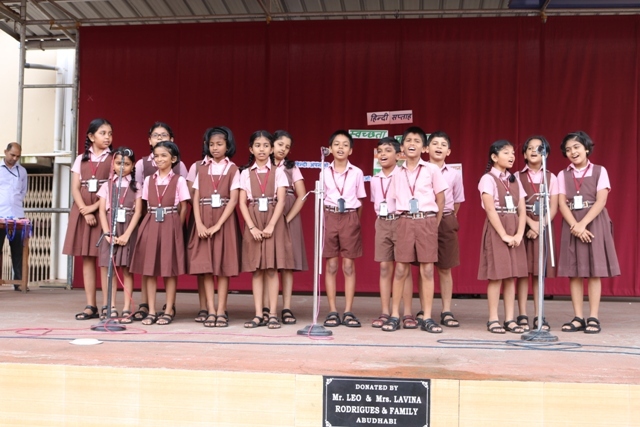 The Morning Assembly was conducted in Hindi by the students of Class VII C on 14th September 2017. The Assembly began with a soulful prayer song. The thought for the day was given by Joel and the news around the world was read by Ridhi and Zimran. 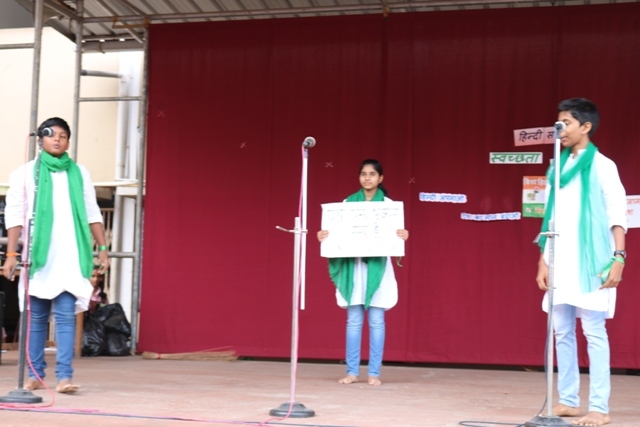 Kriti spoke about the importance of Hindi Day and why it should be celebrated all over India. 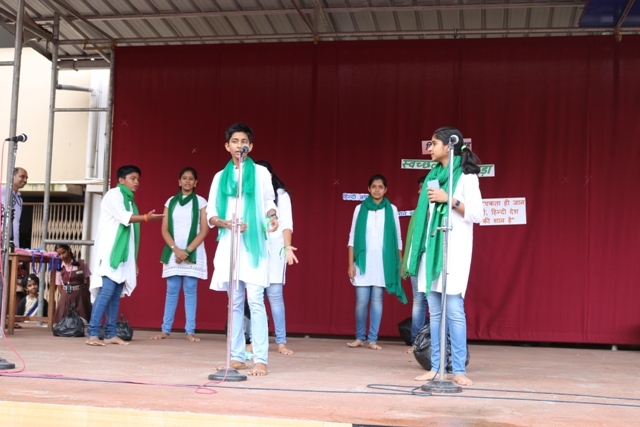 A very informative skit was presented by the students of Class VIII about the necessity to follow Swacch Bharath campaign. 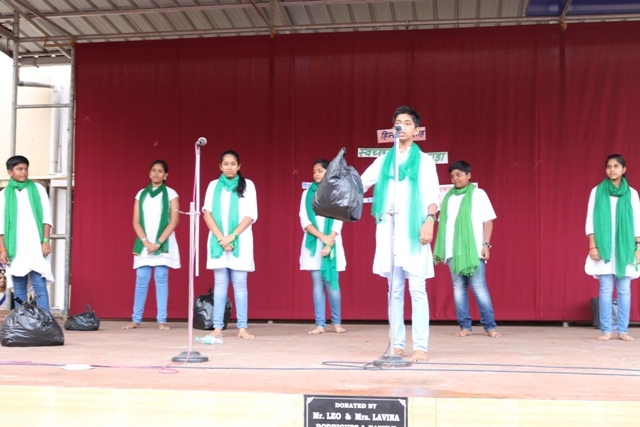 They made the students understand that it is the responsibility of every citizen to keep the surroundings clean. They also highlighted on how diseases spread when garbage is not disposed properly and gave awareness on disposing waste. 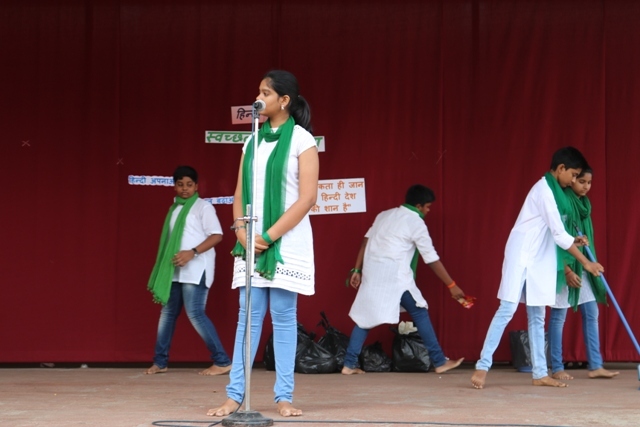 Mehek of Class IX gave tips on keeping the classrooms and surroundings tidy. 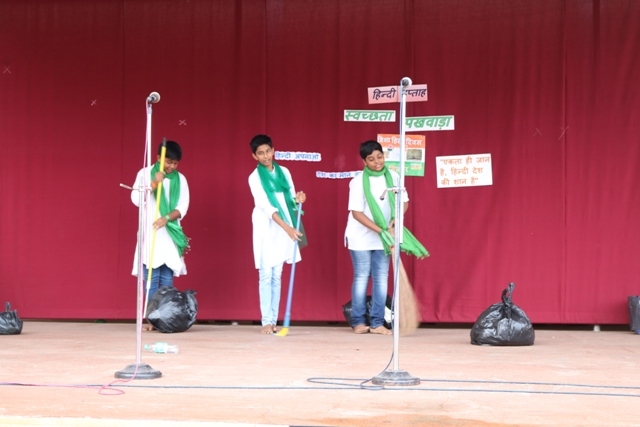 This was followed by a melodious Hindi song sung by students of Class IV to keep the environment clean. 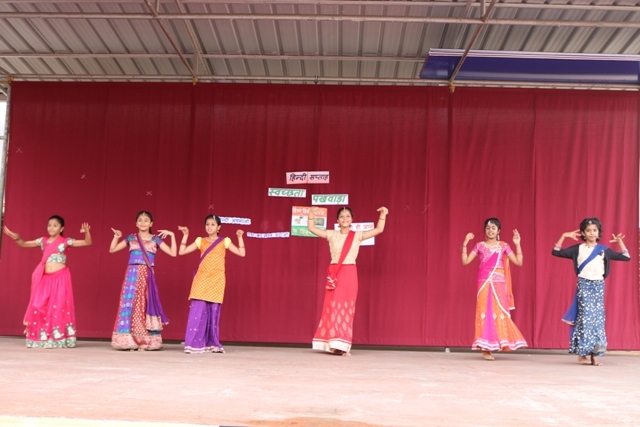 Class VI performed a patriotic Hindi dance. The Vice Principal Mrs Belita Mascarenhas spoke a few words about Swacch Bharath Campaign initiated by Prime Minister Mr Narendra Modi. The Principal Rev. 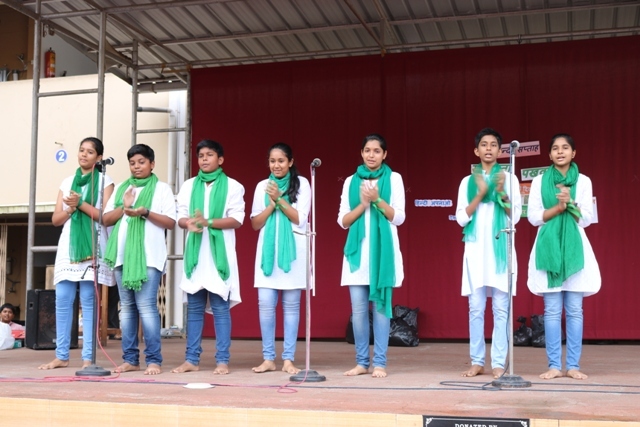 Fr Robert D’Souza gave away the prizes to the winners of the Drawing and Essay Writing Competition held in connection with Swacch Bharath.